These 15 fun, free things to do in Monterey will allow you to stretch your budget on your stay. You will find some interesting museums, historic buildings, and a few places to go hiking. 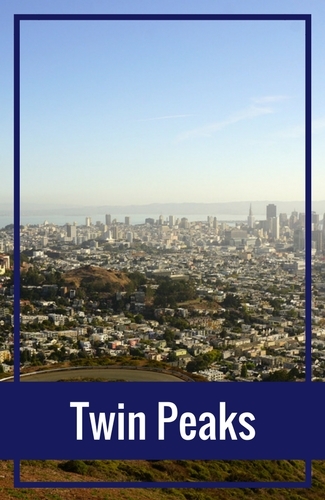 Some of my top picks include the Monterey Coastal Trail, Cannery Row, and Lovers Point Park. 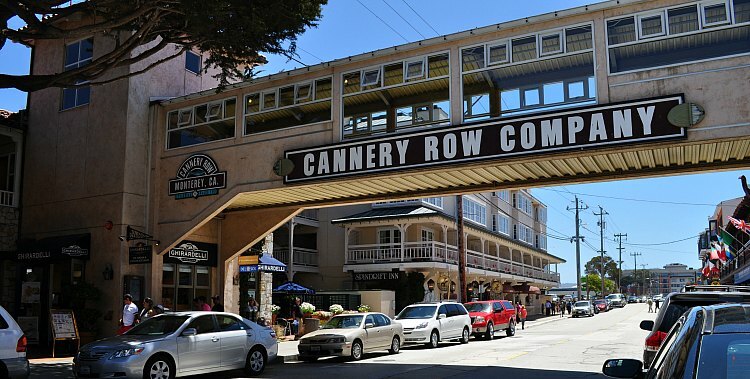 Spend the day on Monterey's Cannery Row. This shopping and entertainment district are always regarded as one of the top free things to do in Monterey. You can walk from store to store and check out the variety of fun things they have for sale. You can also check out the galleries, walk down to the shore, and do quite a bit of people watching as you relax and possibly have a drink or a bite to eat. 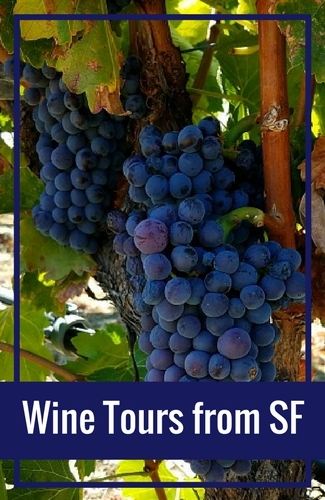 If you do have a few dollars to spend, you could do a little wine tasting, grab lunch or check out some of the fun entertainment including the Monterey Mirror Maze and the Steinbeck Wax Museum. At the very end of it, you will also find the amazing Monterey Bay Aquarium (it's pricey, but well worth the money to visit). Old Fisherman's Wharf is another free attraction in Monterey. When you are on the wharf, you can stroll around checking out the different shops and sample some of the tasty treats for sale. One of my favorite things to do here is to take a stroll to the edge of the wharf to check out the wildlife below. The best spot is on the end near The Big Fish Grill. You will also find several restaurants on the wharf. It's the best place to warm up with some clam chowder. It's also where you will find most of the whale watching companies. You will find a number of beautiful beaches in and around Monterey. Taking a walk around them is one of the great ways to enjoy a few of the wonderful free things to do in Monterey. Some of the most popular picks are Del Monte Beach, McAbee Beach, and San Carlos Beach Park. Del Monte Beach: This is a long, flat beach about a block east of Fisherman's Wharf near Del Monte Avenue. It's not as crowded as some of the other beaches in the area and is a great spot for families. McAbee Beach: This is a small, but scenic beach right off Cannery Row. To get here, walk toward the water through Steinbeck Plaza. When you reach the edge of the plaza, you will find a set of stairs that will take you down into the beach. San Carlos Beach Park: This is another one of my favorites right in the heart of Monterey. You will find it between the Monterey Bay Inn and the Coast Guard Pier--right along Cannery Row. The Path of History is a self-guided walk around Monterey that takes you past important buildings and locations in this town's history. You will see the spot where Spanish explorers first landed here. You will also see a small section of whalebone sidewalks, which are some of the last ones remaining in the world. It will also take you past historically significant adobes, such as the Custom House, and other government buildings. The path is about 2-miles long and has 55 sites on the tour. You can enter the path at any point. The sites on it are marked with yellow tiles. The Custom House Museum is another historic adobe built by the Mexican government in the late 1820s. It was built as a place for those entering by sea to pay their taxes (also known as customs back in the day) upon arrival. In 1932, it was designated as the first California Historic Landmark. It received its National Historic Landmark designation in 1960. Today, you can visit the small museum inside the Custom House for free. It's just a few rooms, but it will give you a great feel for what it looked like when it was used by the government as a point of entry and customs building. You will find it at 1 Custom House Plaza near the entrance to Old Fisherman's Wharf. Colton Hall is another historic building and one of the fun and free things to do in Monterey. It opened in the late 1840s and was originally used as a government meeting place and school. In 1849, it was the location for the first California Constitutional Convention. Over the years, the building has been used for a variety of purposes. The second floor was turned into a small museum in 1949. It features a few rooms of exhibits focused on the history of Monterey and California. The museum is open to the public daily and is free to visit. Right next door to the Custom House is another quick stop--the Old Monterey Jail. This historic building opened in 1854 as the local jail. Its thick granite walls have held up over time and it was used as a jail for just over one hundred years until 1956. This is also a quick stop with just a few small rooms but will give you a great look at what it was like to be a prisoner during this time. You will find it at 580 Pacific St. It's open daily from 10am to 4pm and is closed only on a few major holidays. The Coast Guard Pier is another one of the best free things to do in Monterey. This long pier sits out over the Monterey Bay. There aren't any shops or restaurants on this pier, it's mainly loved for its views. In addition to the views from the pier, it's also a great place to see the sea lions lounging on the rocks around the pier. You will also see a few other sea animals in and around the pier as well as quite a bit of giant kelp, which is also known as seaweed. For those looking for a great spot to go fishing, you will find that this is one of the best. They recently added some fencing around the pier, so you might want to bring along something to stand on. That will allow you to get a little better view of the water as you enjoy your fishing experience here. 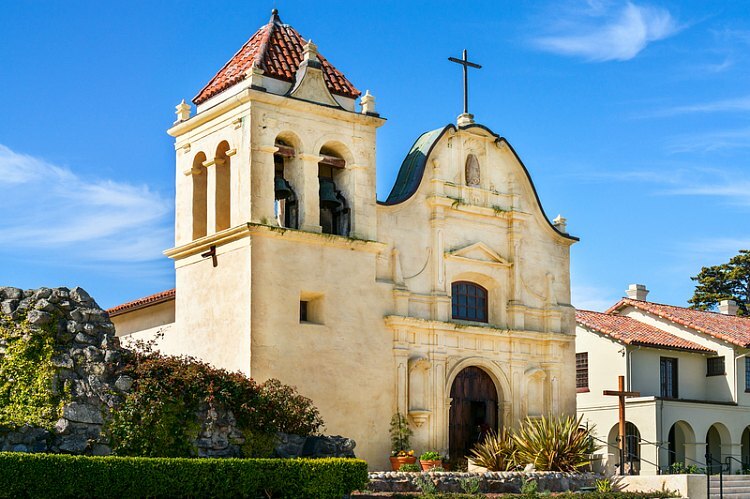 The San Carlos Cathedral (also known as the Royal Presidio Chapel of Monterey) is another historic gem in the heart of town. There are a few things that stand out about this church: It's home to the longest continuously running parish in California. The building is also the oldest stone building still standing in the state. This small cathedral (which is also one of the smallest in the whole United States) is gorgeous both inside and out. A visit here will only take a few minutes, but it's worth the stop if you love history. You are welcome to visit anytime the doors are open and the mass is not in service. You will find the cathedral at 550 Church St. In addition to these great free things to do in Monterey, here are a few other popular picks to check out during your stay. Whale Watching: Head out on the water for this fun adventure at sea. All year long, the waters off the Monterey Bay welcome migrating whales. There are two different tours during the year. Check out the winter tour (mid-December to mid-March) where you will be looking for migrating gray whales. 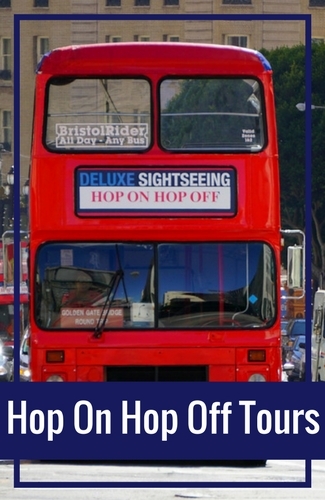 Find tours for the rest of the year here. Sunset Cruise: This small group tours offers you two hours on the water. Sit back, relax, and enjoy the sunset almost any day of the year. Find tickets in advance and learn more here. Monterey Puzzling Adventure: Do you enjoy trying to solve puzzles? Are you visiting with your family or a group of people? If so, you will love the Monterey Puzzling Adventure. Download the app, read each clue, and then work as a team to find the location described in the clue. 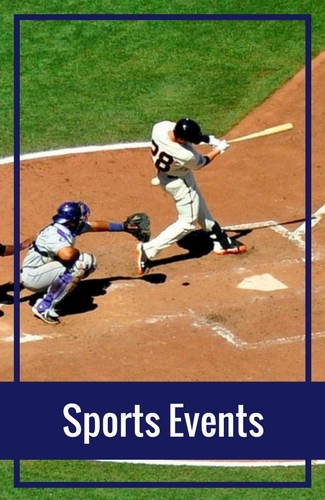 It's a great way to get an insider's view of the area. Find out more here. The Monterey Bay Coastal Trail is a popular hiking, walking, and biking trail that runs near the Monterey Bay. At times, the trail is right along the water, and at other times, the trail will make its way inland for a few blocks. It continues for 18-miles between the towns of Pacific Grove (near Lovers Point Park) and Castroville (near Haro St. and Merritt St.). It's one of the best free things to do in Monterey because of its distance, the ability to relax and just chill out, enjoy the sights from the trail in many places, and the fact that it's mostly flat. The most popular section of the trail is between Pacific Grove's Lovers Point Park and Old Fisherman's Wharf in Monterey. This section of the trail is about 2.5 miles and offers some of my favorite views of the area. Lovers Point Park is another one of my favorite free things to do in Monterey. This 4-and-a-half-acre park sits right next door to Monterey in Pacific Grove. The park is easy to find as it is along the waterfront at the end of 17th Street. The views here are amazing. You can also swim, have a picnic, surf, or just relax and enjoy the scenery. It's connected to Monterey via the Monterey Bay Coastal Trail, so you could also walk here if you have the time to spare. The next location on my list of the best free things to do in Monterey is just south of Carmel-by-the-Sea. It's called the Point Lobos State Natural Reserve. This stunning natural reserve is one of my favorite places in the area to go hiking. There are several trails throughout the reserve that offer heart-pumping action as well as amazing views. Known as the "crown jewel" of all of California's state parks, you will find plenty to love here. In addition to hiking, make sure to also keep an eye out for the wildlife in the reserve since there are about 250 species of animals that call it home. There are also a couple of small beaches here and at the Whaler's Cabin Museum. The reserve offers free guided walks daily. Visit the California Parks official site for details. 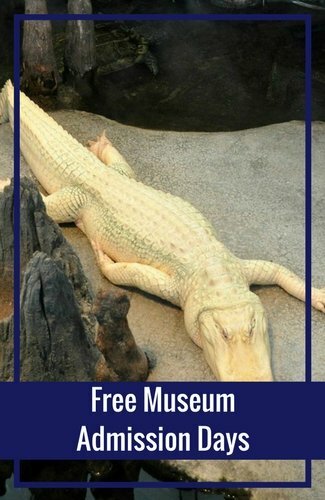 The cost to visit is free, but they do charge for parking. However, you can also park along Highway 1 to avoid this fee. 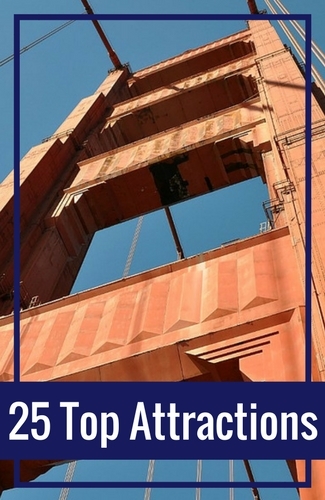 If you are in the Monterey Bay area between late October and February, you will not want to miss the next recommendation on my list of the top free things to do in Monterey. 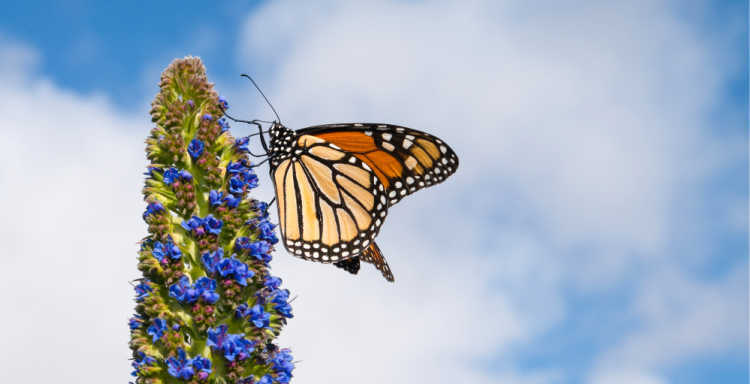 Late fall is the time of year when the Monarch butterflies make their way to Pacific Grove for mating season. During this time of year, you get the chance to see thousands of monarchs on the trees around the Monarch Grove Butterfly Sanctuary. The best time to see them is as the weather warms up in the late morning and afternoons (they usually come out when the temps are at least 55 degrees). There are a few rules to follow when you visit here and see the butterflies. Make sure to be quiet to allow the monarchs a peaceful stay. Stay on the trails and do not touch or pick up any butterflies (they are serious about this and the fine is $1,000). You will find the sanctuary at 250 Ridge Rd in Pacific Grove. 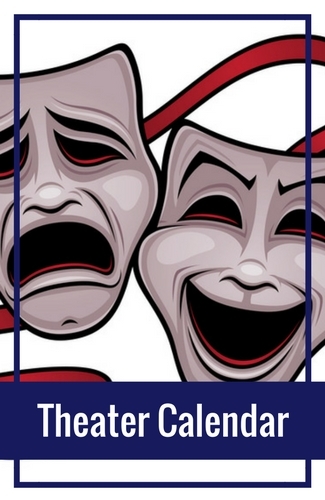 Some of the best free things to do in Monterey includes some of its great festivals. Many are family friendly and offer you the chance to listen to live music, enjoy activities, and hang out with other festival lovers. There are usually two or three a month in the Monterey Bay Area. Click the links below for details. The final recommendation on my list of the best free things to do in Monterey is visiting the galleries in Carmel-by-the-Sea. This cute "fairy cottage" village offers you a fun day filled with wonderful art from local and internationally recognized artists. You can stroll from gallery to gallery on foot as you check out the amazing art around town. You will also find plenty of restaurants, wine tasting rooms, and shops in between.